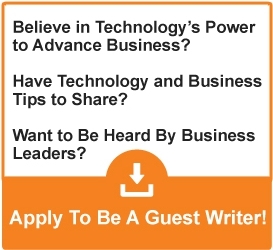 Taking your business into the Cloud is a big step. When working with any vendor you should learn a few things to help better understand both what you want and what they are offering. What Kind of Successes Have You With Other Clients? Even if a vendor has had a lot of successes in the past, are they with clients that are similar to your business? Also, bigger isn’t always better. Larger companies often have traits that smaller businesses don’t have, and vice-versa. One of the things that make the Cloud popular is its flexibility and scalability. I want this software as a service, this to back up to there, so forth and so on. It can mean that what you want is unique. Unique is as precise as it is unproven. So it’s best to ask if there is a try before you try option. That way you can see the ROI before you invest anything. Hope for the best and plan for the worst. If something goes wrong, what will the vendor do? The whole point of the Cloud is to maximize the productivity of your data that cannot happen if your data goes up in smoke. If IT infrastructure goes down, what’s the back up and what’s the plan to get things back to normal? These are important questions. The ability to adapt makes and breaks businesses. Your choices should be based on the most up-to-date information. 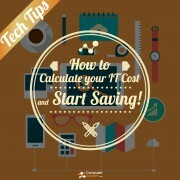 Calculate Your IT Costs and Savings, Now! Getting the Most Out of Outsourcing What is Windows Blue?